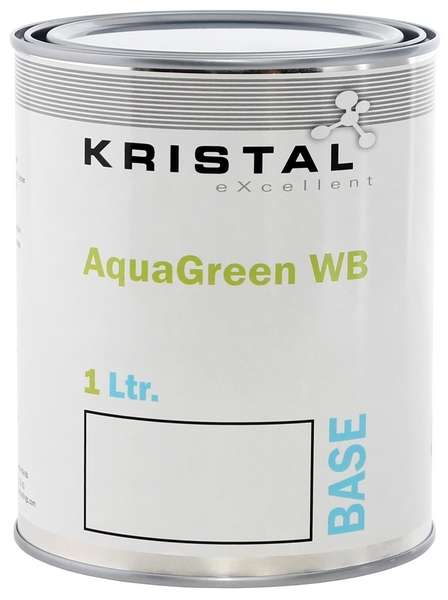 KRISTAL AquaGreen WB is a easy to use, fast drying waterborne basecoat mixing scheme for vehicle refinishing. The acrylic formula of KRISTAL AquaGreen WB provides colour stability for solid colour, metallic, pearl and xirallic Base coats allowing accurate worldwide vehicle colour reproduction. The low VOC formulation provides a major saving in solvent emissions, whilst good covering saves both on materials and valuable time.